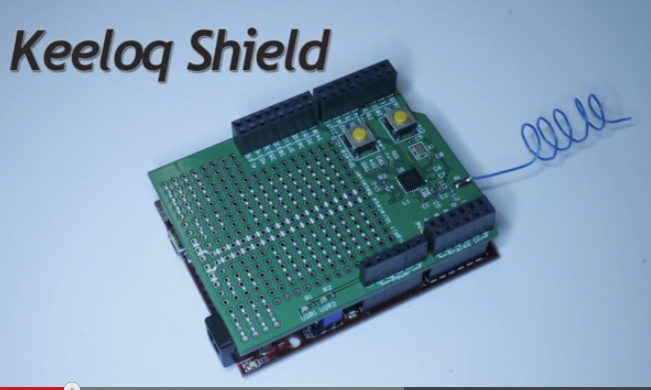 Our Keeloq Shield wins ChipKIT Design Challenge! We are so excited that we won the Level 3 ChipKit Design Challenge. Please view the other levels and contestants here. Thank you everyone who voted for us. With the winnings we will be gaining some new tools from Microchip and Digilent. If you want to look at the published files design and source files, they are available on github. There are 2 sets of hardware and firmware. The hand held keyfob schematic / firmware, and the chipkit shield schematic / library. If by chance you haven’t seen our entry video yet, check it out.